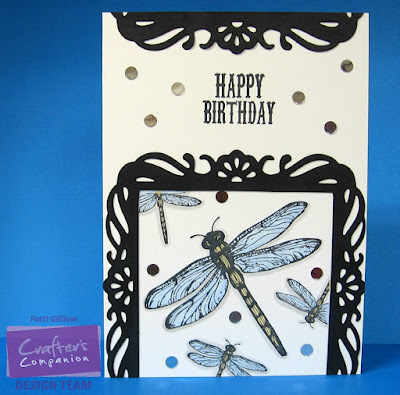 I'm here today with a card featuring Crafter's Companion products. This stamp set is so pretty! You will probably see it again soon! Oh how pretty - love the frame you used to showcase your images. I can see why you will be using this great image again. Darling dedign, like how you framed the dragonflies! Love dragonflies and this is awesome! 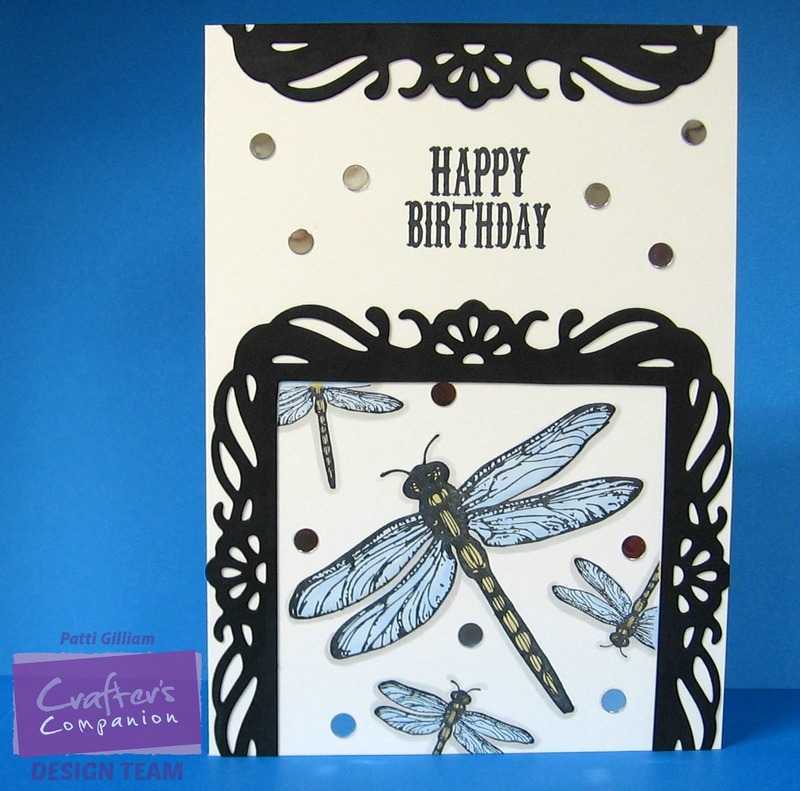 Love those dragonflies! Very pretty card! 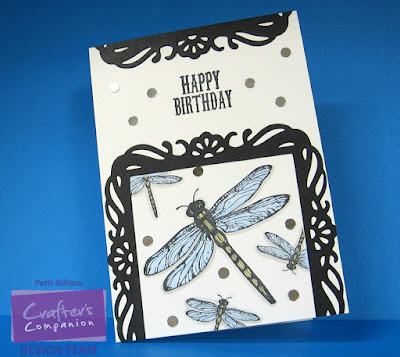 A beautiful card and love the layout. Great die cut for the frame. Ohhhh, I love it. Dragonflies are dear to my heart, as you know. Wonderful stamp and the way you put it together. Ohhhh such a beautiful card. I love dragonflies, as you know, and this is one terrific stamp. I love the way you encased it in that pretty die. Very pretty card, Patti! With this card, you've shown me a new way to use my fancy square and/or rectangle dies. I wouldn't have thought of cutting off the bottom of the frame and adding it to the top of my card. Great idea! Oooh that's so pretty Patti! And what a great idea to split your frame like that, it looks fab! Another gorgeous inspiration, Patti. Love what you did with your frame. The dragonflies are beautiful!